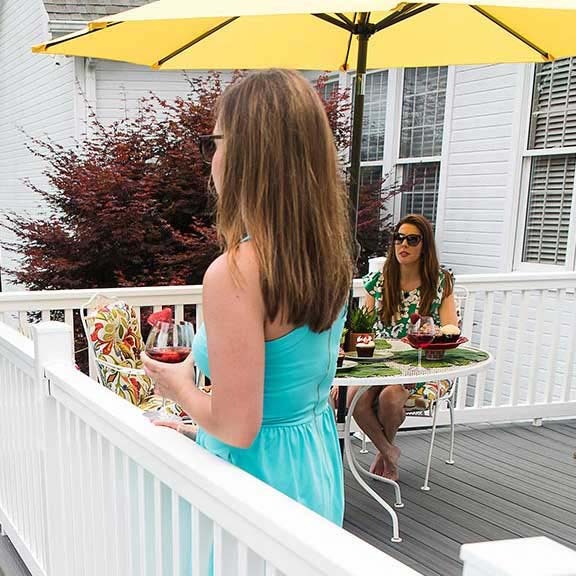 Whether you have a composite deck, concrete porch, or have wood deck boards, TAM-RAIL® is the luxury system that sets your home above the rest with a white railing to complete the picture-perfect appearance. Life made easy with the TAM-RAIL® system as our railing includes premeasured bracket templates as well as predrilled holes for accurate spacing and quick installation overall. Envision® Decking wants your deck railing system to fit your specific design preferences, we tailored our dimensions to fit many different installation styles. 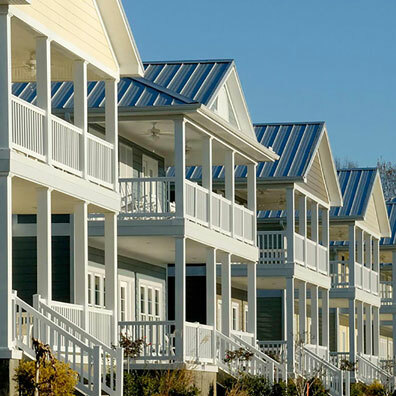 Choose from the Straight Rail Kit, Stair Rail Kit, Post Sleeves Kit, Post Mount Kit , Bracket Kit (straight, stair and multi-angled) and Baluster Kit to perfect your Marquee Railing® system. 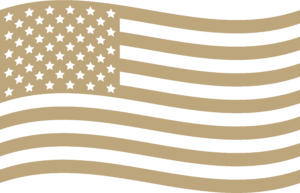 Available in 38″, 48″ and 116″ heights. Straight rail bracket kit for use with standard 70-1/4″, 93-7/8″ and 120″ straight rail kits. Stair rail bracket kit accommodates stairs with 30 to 41 degree slope. Multi-angle and fixed-angle adapter kits are available for special angle requirements. 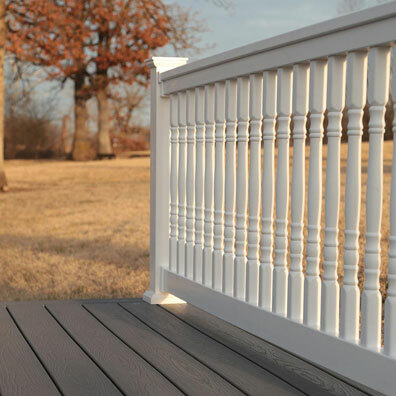 The TAM-RAIL® system fulfills your deck look and your outdoor experience with ease and affordability. Delight in the effortlessness of assembly, which allows you to get back to making your deck or porch where you go to relax.